Hi, posting late tonight, hope you have had a good week. This working for a living cuts into my craft time! Today's card is a digi image by Nana Vic. The sentiment is a Tim Holtz by Stampers Annonymous. Colored with Copics, Stickled Star Dust on raindrops. Ppaers are by DCWV, Stripes, Plaids and Dots. Red frame is punched for photo corners and the image is tucked into them. Border Punch and the multicolored decorations are both Martha Stewart. We are above freezing for the next couple. East of us is supposed to get snowed on again this weekend, including NYC. They have been getting burried this season. And we potentially have two more months of winter!! A gorgeous card! I love the photo corners and the text is great. your cards are looking great and colorful sue. I just love the sentiment. Very cute card. 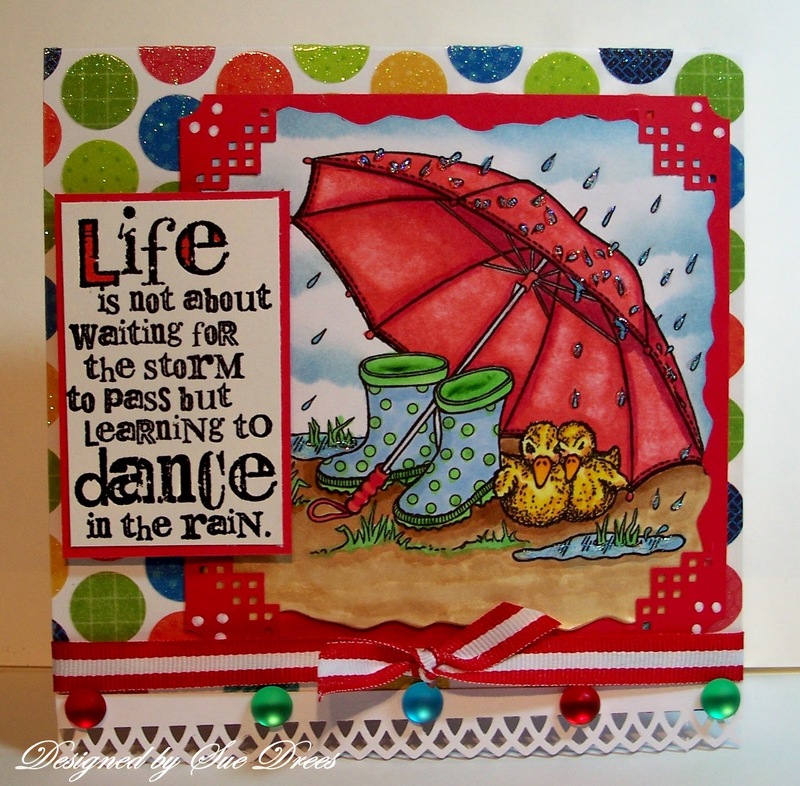 I think I forgot to pop in and tell you how much I love this card...the bright colors and wonderful sentiment are perfect!